An enthralling evening of fiddling tales and tunes from around the world – the northern edge of Europe to the deep south of America. There’ll be stirring stories of plucky fiddlers, including entertaining the faeries in Scotland and dealing with the devil in Russia, all accompanied by dazzling fiddle-playing showcasing its wonderfully varied styles. ‘Fiddler on the Hoof’ is a warm and wonderfully life-affirming mix of stories and music, with the brilliant partnership of Martin’s skilful and exuberant storytelling alongside Fiona’s dazzling fiddle playing. It was a delight to welcome them both back to Bridport Story Cafe. 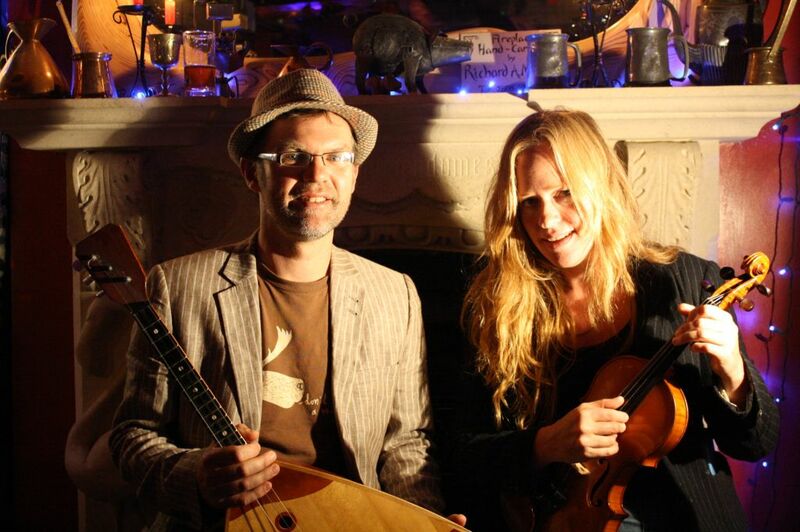 Bridport-based storyteller Martin Maudsley and fiddle player Fiona Barrow have collaborated since 2007, weaving together the power of the spoken word with the magic of music.